Watch It At Home: Much sadness, little insight. BEAUTIFUL BOY is less interesting than you’d think it would be. The premise is certainly arresting: Shawn Ku’s first film (written with Michael Armbruster) tells the story of the aftermath of a school massacre, from the viewpoint of the parents of the teen who shot down his classmates and then killed himself. (Oddly, another movie with the same theme recently had its premiere at Cannes: We Need To Talk About Kevin, with Tilda Swinton.) 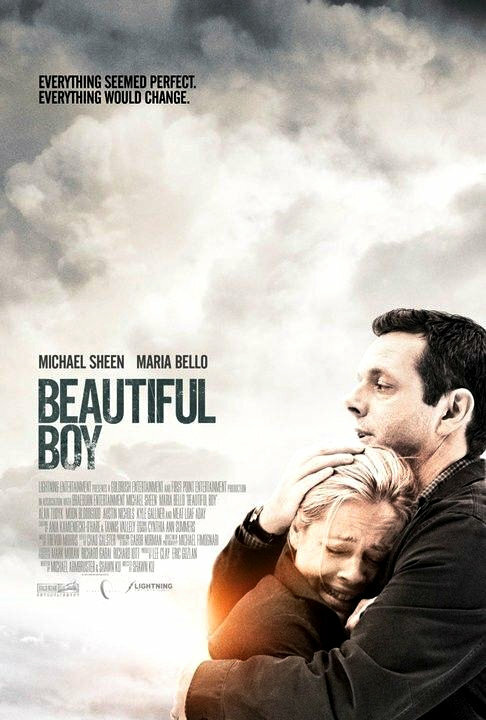 As the parents, Maria Bello and Michael Sheen could hardly be more heartfelt and passionate in their grief. For the most part, though, the film is a marathon of insubstantial bleakness. Ku and Armbruster have decided to tell the story almost entirely through behavioral observation–thus, we get virtually no information about the characters’ past or what led their son to his terrible act, other than occasional uninformative glimpses in flashback (the mother was demanding, the father more concerned with his job than family) . The justification for this is presumably that the parents themselves can never understand what happened, and their uncertainty about what they may or may not have done is what feeds their misery; it would be glib to tell us what “really” caused the tragedy. All of which makes intellectual sense, but it’s fundamentally undramatic and even generic: we spend 100 minutes watching Sheen and Bello being grief-stricken and agonized, and all we can do is look at them from the outside and admire the acting on display. (When the movie tries to introduce a few fragments of drama late in the game, they’re underdone and unconvincing.) All the film tells us, in the end, is that the parents of a mass murderer will be sad, confused and vaguely guilty, and who wouldn’t have guessed that? The performers certainly give their all, but it’s in service of a film that just wants us to gawk at their unhappiness..